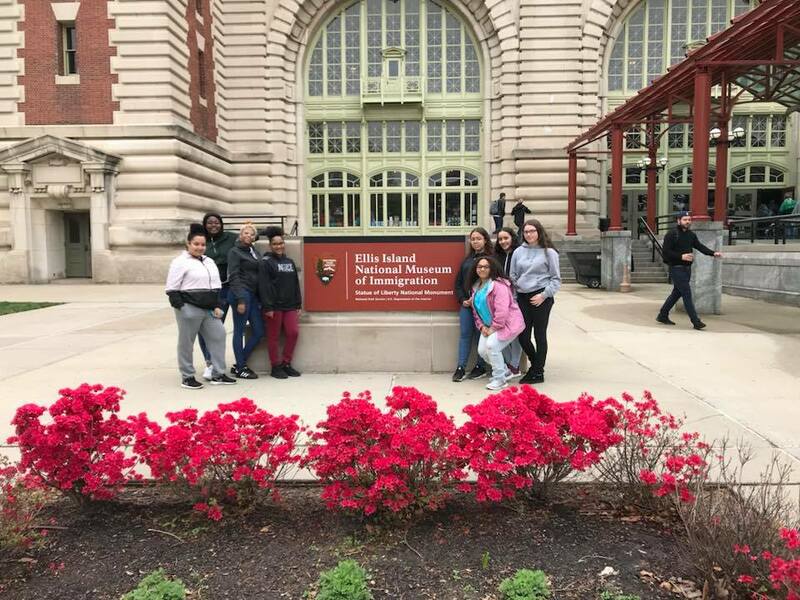 YWCA New Britain’s House of Teens and STRIVE programs for middle and high school girls took a trip to New York City to explore Ellis Island and the Statue of Liberty. The girls worked hard all year to raise funds the trip. They hosted several bake sales, a Valentine’s Day flower sale, and a very successful pasta lunch at the new YWCA East Street Community Center. Individuals and organizations from the community also made donations. The girls in the STRIVE and House of Teens programs take an end-of-the-year trip to a different place each year. “We try to pick a place that is fun, but that also has an educational component. We always want our girls to learn something from these trips. We felt the Statue of Liberty was a great choice because she’s a woman, and she also represents immigrants and the diversity of America,” said Joanna. In addition, the girls were allotted some time to explore Times Square and have dinner together in the city. Joanna said the most surprising feedback she received from the group after the trip was about taking the ferry over to Ellis Island and the Statue as many of the girls had never been on a boat.